Your doctor is part of the reason why you are a healthy living person that is able to do what he pleases whenever he wants, that is why it is imperative that you should show your gratitude to your doctor. One way to do that is to greet your doctor on his birthday. When you cannot seem to find the words to say to your doctor, here are some quotes that will do just that for you, try to use them properly. 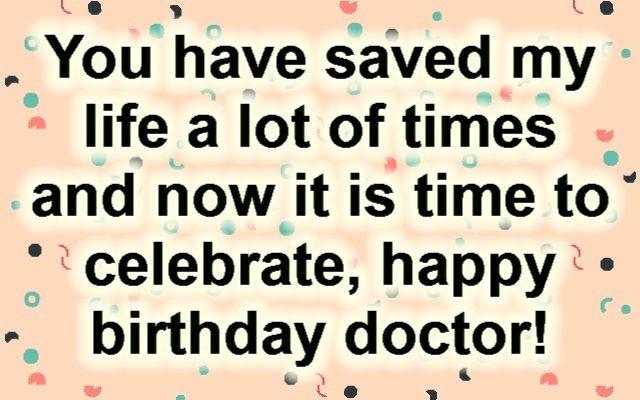 You have saved my life a lot of times and now it is time to celebrate, happy birthday doctor! 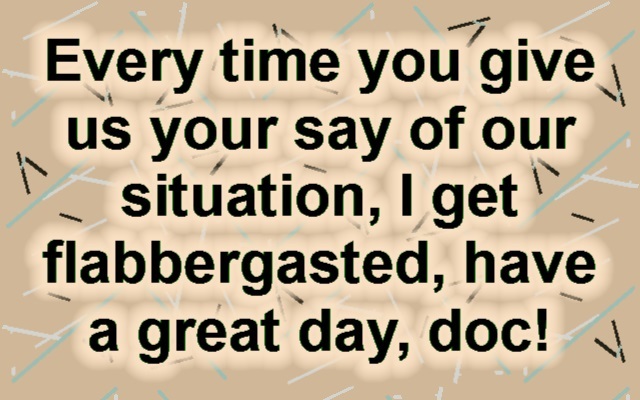 Every time you give us your say of our situation, I get flabbergasted, have a great day, doc! 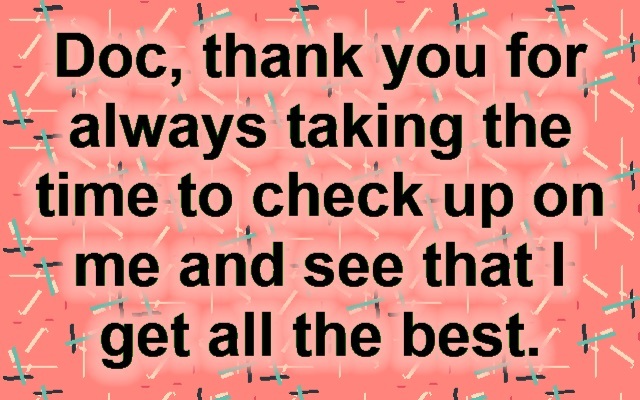 Doc, thank you for always taking the time to check up on me and see that I get all the best. 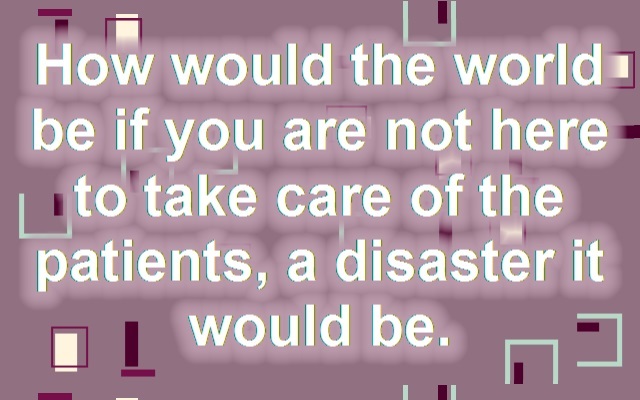 How would the world be if you are not here to take care of the patients, a disaster it would be. I cannot imagine how life would be if I had another doctor, never go away, enjoy your big day! 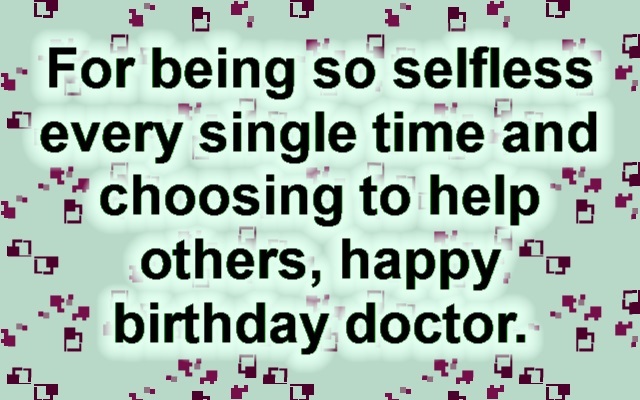 For being so selfless every single time and choosing to help others, happy birthday doctor. Aside from being a great doctor, you are also a friend that I can tell all my deepest secrets. If everyone knows at least someone like you, I bet the world would be a better place, dear doc. 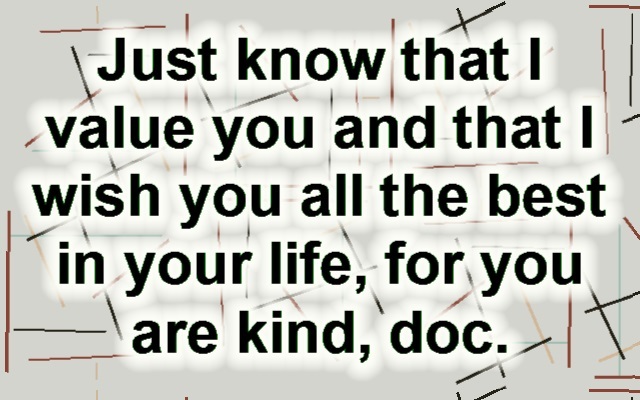 Just know that I value you and that I wish you all the best in your life, for you are kind, doc. As you turn and add another year to your age, I hope that you can welcome it with a smile. You are the kind of person who is willing to make a sacrifice for others, happy birthday doctor! Enjoy your big, day, a cake and some ice cream ought to do the trick right away, I bet on that. For keeping me healthy, I just want to tell you that I appreciate all the effort that you put in. You have shown me how to keep my children safe and healthy and I hope you keep the same. On this birthday of yours, may you be able to just relax and have some great fun, that I hope for. Happy birthday doctor, you sure have been busy, I hope you make some time to celebrate. Your cheerful and friendly personality is what makes me keep on coming back to you, doc. Experiences in life mold us to be the person we are now and yours have made you the best. Thank you for making me believe that I can also be a great person, for all the therapy sessions. You have some magic in you because every life that you touch has turned into something great. This is your day so do not let anyone take this one and just relax a bit, happy birthday doctor. A lot of lives has been in your hands and you have never failed them, happy birthday doctor. You rescue other people out of the goodness of your heart and I am just in awe of you, doc. Your life is what you have dedicated in this field you have chosen and I just admire that of you. The best is what you truly are in this great task that is at your hand, to save people’s lives doc. I respect you because of being the great doctor that you are, always sharing your blessings. I think you are the best in your profession, no matter what others think, happy birthday doctor! No amount of money can ever be enough to repay you in saving what matters the most: life. I am sure you have paid blood and sweat to get to where you are right now and I am amazed. May you enjoy everything that this day offers you, for I am glad that you were born here. What you are is a miracle to mankind, something that should never grow old and just die. Happy birthday doctor, just know that we, your patients are thankful for all that you do for us. A doc like you is a blessing to every person in the world and your birth should be celebrated. With all that I am and all that I have, with my life, I trust it to you every time I come to visit. I know that there are days when people die in your table but thank you for trying your best. What you do and what you are is because of the people you get along with, thanks doc! Happy birthday doctor, I am glad that I have met you because you saved me over and over. I bet my life could have been worse if it was not touch by a doc of your caliber, you are great. Just being your associate is something that I am already proud of, knowing you is something. Life has been really good to you and that is because you have been saving lives all along. Lucky is what you are to have your friends and your family gathered around for your birthday. I would love it should my daughter become just like you, for you shine, happy birthday doctor. Medicines may taste bitter but they save lives just like you do, doc, you are a great team. You serve people with a smile and that is what I admire the most about you, thank you for it. Every smile that you give to your patients truly speeds up their recovery, enjoy your big day! You sure know how to save a lot of lives and I am grateful just to know someone like you, doc. Your inspiring personality really got me going back to you over again happy birthday doctor. Combating diseases is surely your specialty and I cannot help but love you for that, my doc. What is amazing about you is how you know the names of all the patients you have ever cured. You really need some time off to just relax and have all the fun that you have missed back then. Thank you for saving me from those sleepless nights and all those eating disorders I had. Your humanity is just so amazing that I am so shocked every time is see happy birthday doctor! You deserve to sleep for the day for all those light night sessions and surgery you had to see. Studying must have been your passion because it takes more than guts to be what you are, doc. Best wishes to you who is out there doing the world’s most dangerous work, to save lives. I hope that a lot of good may be brought to your life because you are that good, you are kind. When you are in action, it seems so hard to take my eyes off of you, happy birthday doctor. What a sacrifice your life really is because you are on call every single moment of your life. Society is what defines your time of work and it may be hard but you have been doing great. I hope that you get to heal the people and that you keep on working for the better good, doc. When I was recovering, you were patient with me and know that I am okay I want to hank you. Happy birthday doctor, you were always patient with me even though I was totally annoying. You are able to hold so much love and kindness in your heart and I am just thankful for that. I bet that you give it all to the heaven above, the credit for all the people you have made better. Put away that gown and those tools and for today just celebrate that you have a life to live. Have some fun because you deserve to, let those people close to you be able to cheer you on. 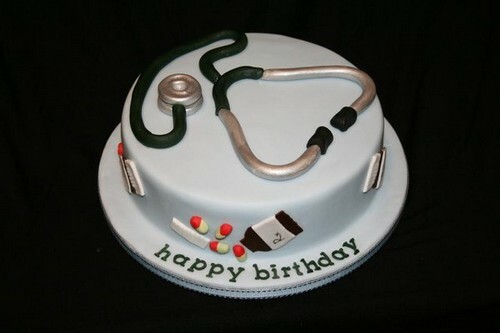 You are the sweetest part of the medical group and I am proud of you, happy birthday doctor. What you are is a magician that makes people happier even when they are in pain, congrats! Enjoy your bday for that is one of the things that you deserve the most in this life we are in. Enthusiasm is one of the best qualities that you have to offer in your life and I love you for it. I bet studying had totally made you a real genius and I just wish you a happy birthday doctor. How dashing and cute you are whenever I see you in that white coat, happy birthday doctor. You make it seem like every disease is curable even when there is no hope, you bring that. We will forever be grateful for the joy you have given us and the cure you have offered us. You never say big scary words and always try to keep it simple so we’d understand, doc. Thank you for giving us hope that we can still be cured of what we are now feeling, thanks. Happy birthday doctor, now I do not even want to eat an apple so that I get to see you a lot. I know how underappreciated you are and I just want to say that you deserve to be rewarded. What you do is priceless, to save the lives of people and only get money in return, that you do. You are truly a great person, for you care for people much more than others do, enjoy today. I wish that you will become a bit selfish that you may take some time off for yourself, doc! You have your own style of dealing with your patients that I just love happy birthday doctor. I hope that you get the wealth, happiness and health that you deserve for the good things. Happy birthday doctor, your approach to your patients have given them a lot of hope, it did. I love you doc for always regarding my feelings when you tell me of what I am ill from. You have always been generous when helping other people, that is true happy birthday doctor. Happy birthday doctor, may you never change especially with the nature of your work.